Bergen 1910: In conjunction with a major national exhibition, the Norwegian company Egersund Fayance applied for a number of artists that would help them raise the artistic standard of their earthenware products. 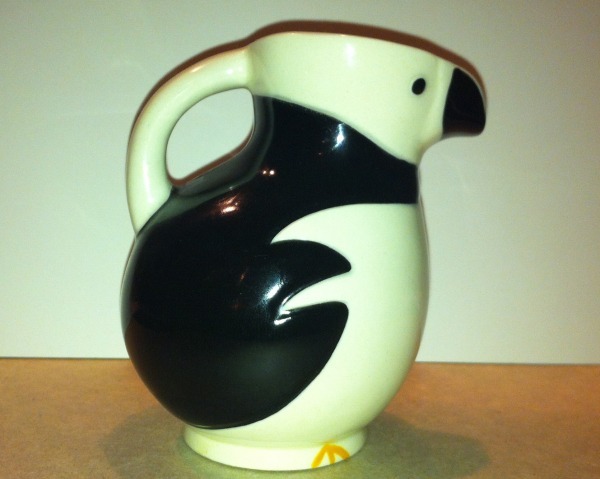 One of the artists was Jacob Sømme – known as the creator of Alkemuggen (English: Razorbill Jug). Sømme both modeled the jug and created its unique decor. 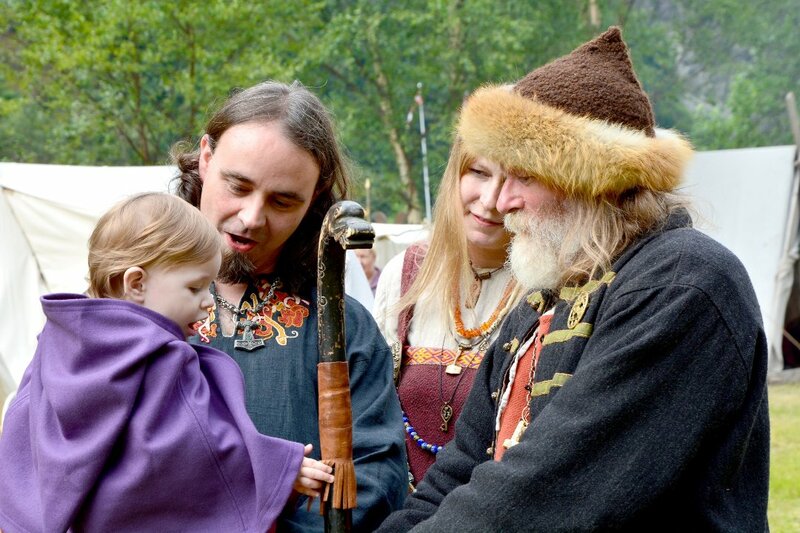 The charming and decorative Alkemuggen quickly became popular in Norway and Europe. It was eventually made ​​in five different sizes and has become a special collector’s item in the Nordic countries. At Dalane Folk Museum, Egersund Fayance has its own department where you can buy new Alkemugger. They are made from the original molding at a local pottery. These are labeled by the pottery and cannot be confused with the old Alkemuggene. About the artist: Jacob Sømme, born in Stavanger in 1862, belonged to a circle of artists (aka the “middle generation”) that followed Christian Krogh and Edvard Munch. In 1880, he moved to Munich to study art. He also studied in Rome, Paris, Skagen (Denmark) and Copenhagen before he moved back to Norway. His paintings are characterized by considerable charm with a generally bright and happy tone. In 1940, Sømme died in Moss, Østfold county.